This entry was posted on September 16, 2011 by joeleagle. 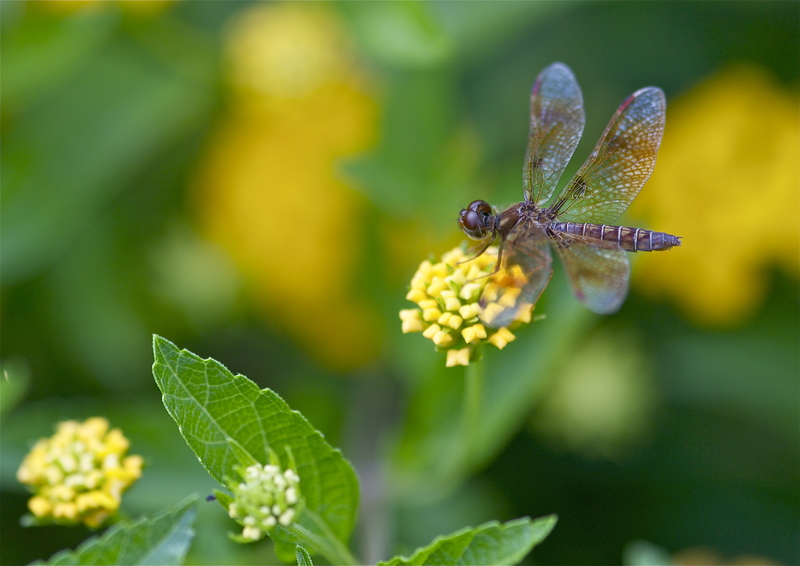 It was filed under Flowers, Insects and was tagged with Brown Dragonfly, Lantana. Joel, I’ve noticed that your latest photographs are more vibrant than the ones you took when you first bought the new camera. The color balance is better, and the definition is improved, as though you were shooting with more MPs now. Are you still using the same Nikon, or did you upgrade? If not, what settings did you change to get these fantastic results? Keep up the good work. I always have your tab open in Safari, but I don’t always look at all of the pictures. One day when I have time, I will. I promise! Thanks so much for your continued support Greg! I’m still using the D3100, but I have been using a different lens for most of my macro stuff, that’s probably the difference in some of the definition, not sure about the color balance, I think maybe I’m just growing a little bit!